This Evil-Eye diagnosis exorcism remedy can be performed on any day and any time. The practitioner should put a tablespoon of Rock Salt each in a couple of small plastic bags and place them under his mattress in the approximate position where the head and feet are positioned while sleeping. Then after, a week he should check if the color of the Rock Salt has changed to a reddish shade. If the color of the Rock Salt has changed, then it means that the practitioner was indeed the victim of Evil-Eye and the Rock Salt has removed and absorbed the Evil-Eye. In, such a case, the plastic bags should be immersed in a water body. If the color of the Rock Salt is unchanged, then the plastic bags can be thrown away. Parents of children suspect that their child is the victim of the Evil-Eye can attempt this remedy to diagnose and remove the Evil-Eye from the child. Note- This is a standalone Evil-Eye exorcism remedy, there is no Mantra-Tantra-Yantra associated with this remedy. hello sir,by performing this remedy can one know as to who is doing black magic? 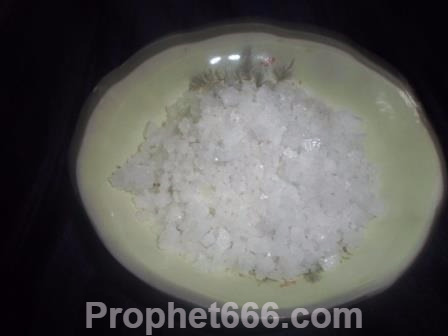 This is a standalone black magic removal remedy and not a Tantra to know the name of the source of the malefic vibrations. Does this remedy ward off the evil effects of tantra done by enemies on a person or it only removes evil eye effects? The remedy wards of all kinds of malefic and dangerous energies, including the harmful evil-effects effects of Tantra-Mantra. would the plastic bag block the energies from getting to the salt and so should we leave the plastic bag open or can it be sealed so the salt doesn't spill out. There is no need to seal the plastic bad, just closing the opening by folding it is enough.